Certainly the flautist has come a long way and his journey to reach his destination is a rather long one. “I started in India from scratch, with no network of people and even the art-form that I have immersed myself into. It was all new to me,” reminisces the artist. He also adds that he never had any support from his family and he stumbled many times. When Seattle–born Nash Naubert first visited India in 1999, he realised his calling in this country. Following an impulse, Nash left his friends and family behind to pursue his dream of becoming a student of Indian classical music. A senior disciple of music maestro Pt Hariprasad Chaurasia, Nash left the audience mesmerised with his flute recital at a morning concert organised by Pancham Nishad in Mumbai recently. Growing up, Nash was always passionate about the arts, music and literature. He became interested in world music during adolescence and practiced playing the didgeridoo (an indigenous Australian instrument) in college. Since then he learnt vocals and many forms of music, but Indian Classical music intrigued him the most. “It has become more than an obsession, but a religion to me,” says the musician, adding that the innate structure and purpose of Indian Classical music is to uplift the listener and that’s what made him fall in love with this music. What sets Nash apart from other expatriates, who have chosen to call Mumbai home, is that he’s a professional bansuri (flute) player. “I started in India from scratch, with no network of people and even the art-form that I have immersed myself into. It was all new to me,” reminisces the artist. He also adds that he never had any support from his family and he stumbled many times. 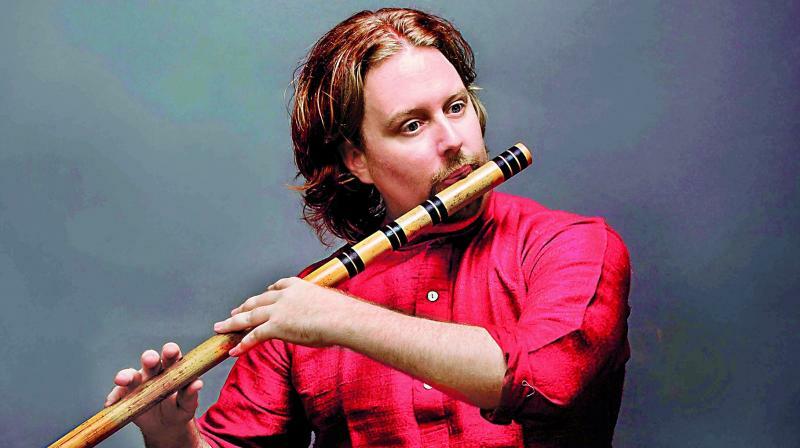 While the apprehensions of mixing classical music with Western for an Indian audience is understood, the American flautist doesn’t shy away from the possibility, if presented. Certainly the flautist has come a long way and his journey to reach his destination is a rather long one. Embarking on a new venture in his career, Nash is now launching a music company Music of Now (MoN) at Carnegie Hall in New York. “MoN aims to set up concerts and tours for Indian artists and few other great world music artists in the US where they will be treated like the world class artists,” he concludes.